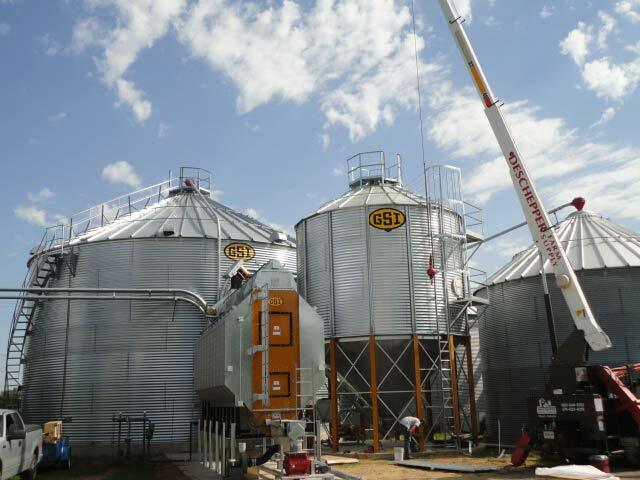 DFS Ag — Deschepper Farm Services, Inc.
DeSchepper Farm Services, Inc. construction projects utilize GSI farm bins from 15’-48’ in diameter and commercial bins from 48’-135’ with capacities up to 1 million bushel, along with GSI portable dryers, tower dryers, Top Dry and in bin drying systems provide a lot options that can be tailored to meet a customer’s individual needs. 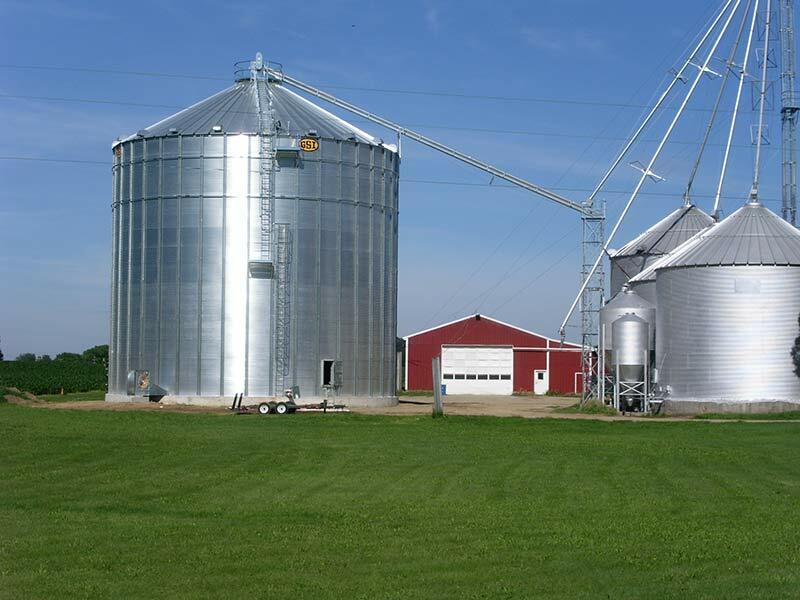 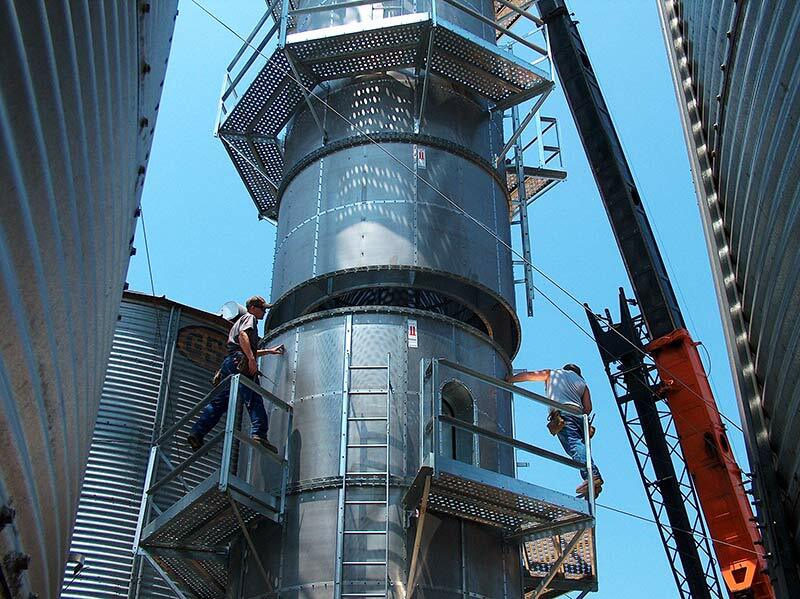 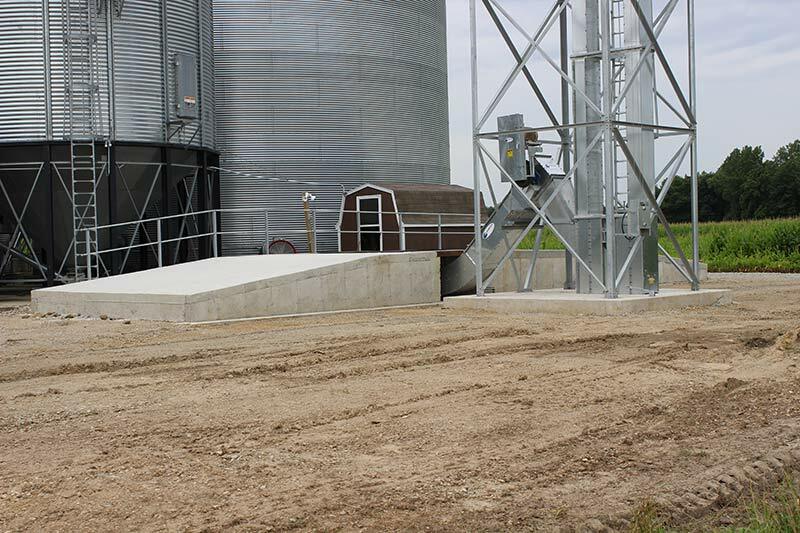 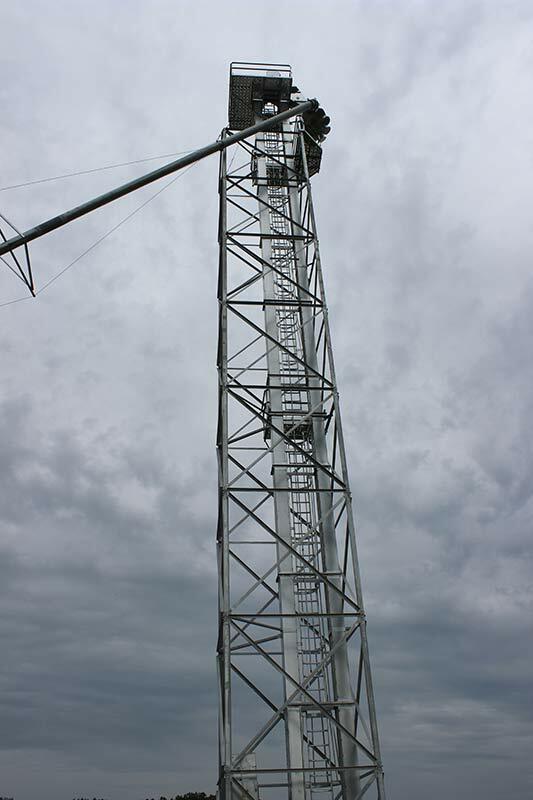 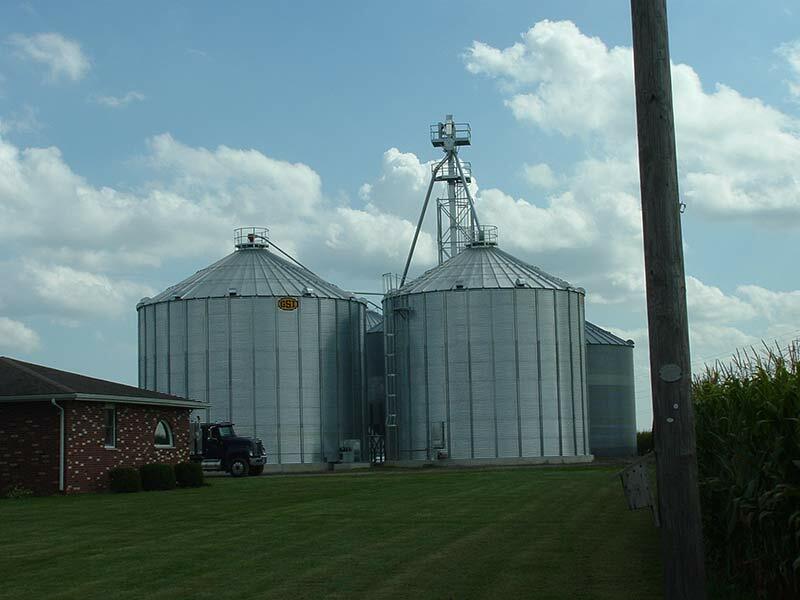 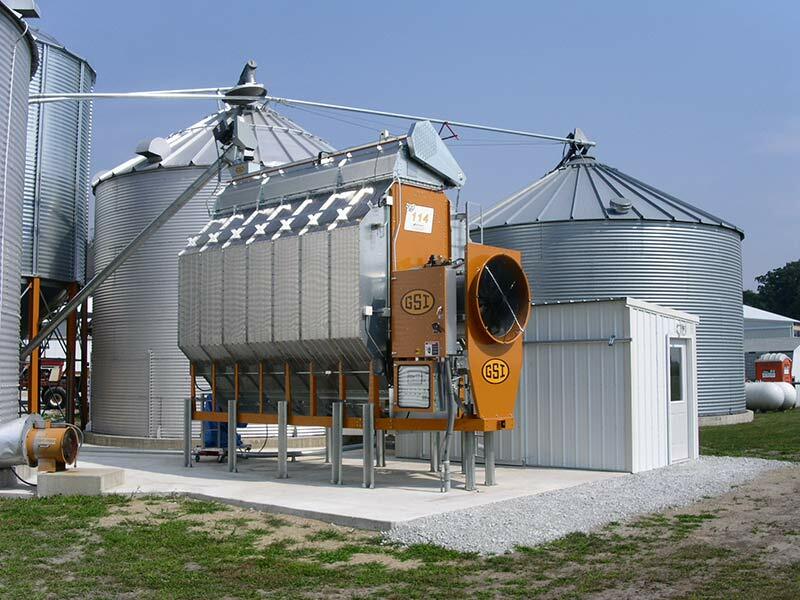 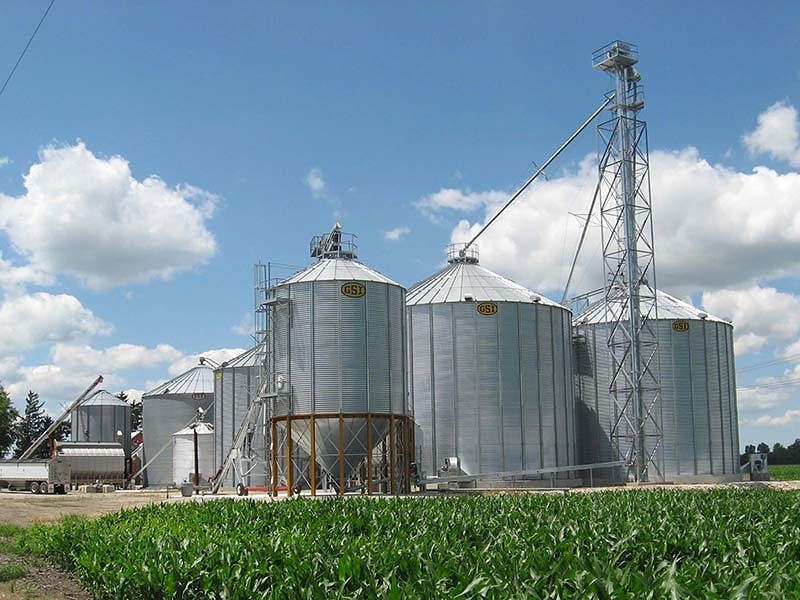 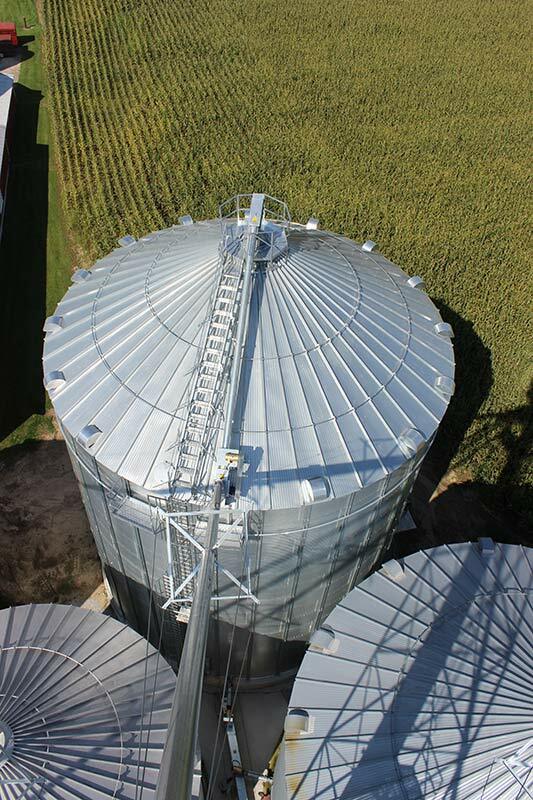 Lambton bucket elevators, drag conveyors, and grain cannon along with Hutchinson grain augers, Shivvers drying equipment are just a few of the many other manufactures we utilize to design the most effective solution possible. 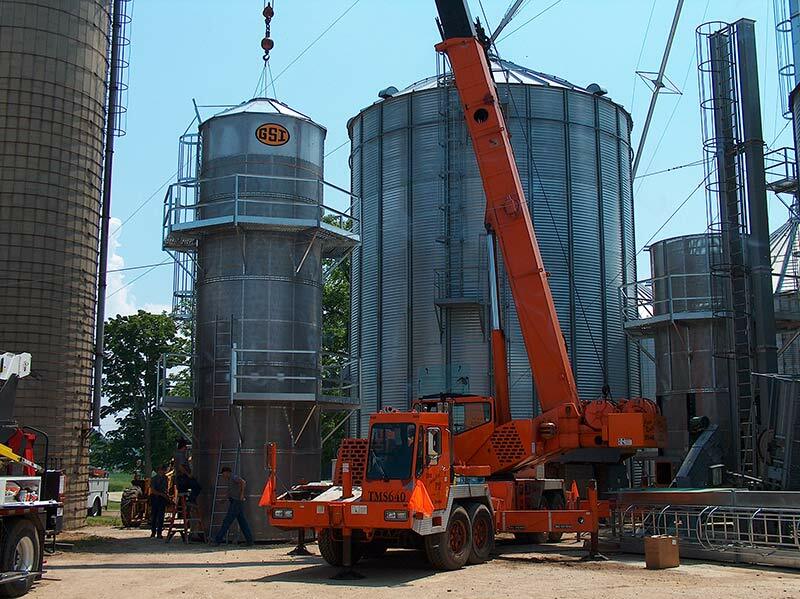 DeSchepper Farm Services construction services include full site excavation & preparation, custom concrete installation, farm and commercial grain bin erection, grain dryer installation, GSI and Farm Fans dryer preseason service, technical service & support, along with farm & commercial millwright equipment installation & repair services, truck crane services, general bin repairs and portable welding.